S-A01 - Includes a bedroom, large living room with a dining table, large walk-in closet, bathroom, and newly renovated kitchen. Amenities include Google Fiber TV and Internet. Nightly and holiday rate is $175. R-1604A - Includes a bedroom, bathroom and cafe table. Nightly and holiday rate is $135 per night. R-406- Includes a spacious living room with queen-size sofabed and adjacent dining area, a bedroom with queen-size bed, a well-equipped modern kitchen, a bathroom, and several large closets. 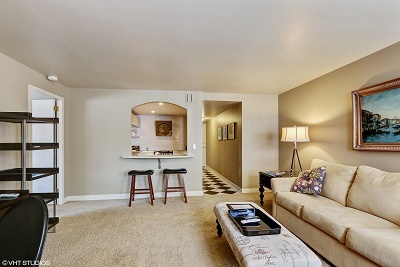 Additional amenities include two TVs and Time Warner Cable Internet with WIFI. Regular nightly rate is $140; $165 per night during holidays. R-504 Includes a living/dining room, kitchen, 2 hallway closets, full bathroom, guest bedroom with a single bed and monitor for computer hook-up, and a master bedroom with a full size bed and closet. Amenities include TWC TV and internet. Nightly rate is $175. Nightly holiday rate is $200. R-1007 - Includes an open dining room, kitchen and living room, two bathrooms, flat screen TV, 2 bedrooms (master has king size bed), washer-dryer and a balcony with a grill. Amenities include Google Fiber TV and Internet. Nightly rate is $250. Nightly holiday rate is $275. NOTE**Cancellations require at least 24 hours’ notice except during Thanksgiving and/or Christmas, which require at least 48 hours’ notice. Late cancellations will result in a fee equal to the amount of one night guest suite rental rate. Please direct any questions or inquiries to Beth Rice. 816-931-3413 or [email protected]!